Oh Microsoft, you rascally spammers! 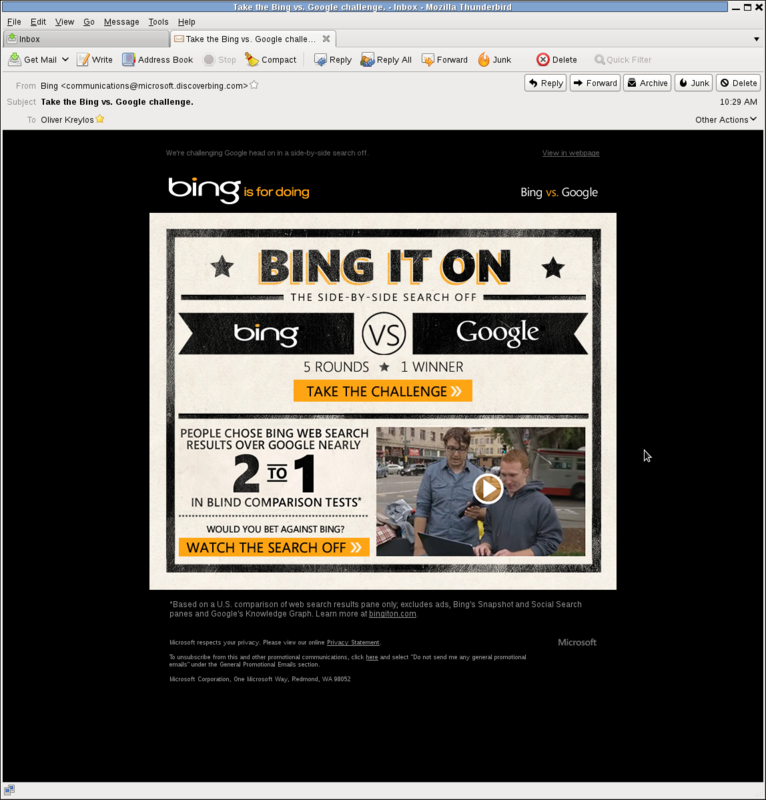 I just got a piece of unsolicited email from Microsoft, daring me to test Bing against Google. Since when did Microsoft start spamming? Do they think that sending HTMLy mass emails full of remote content is going to garner them lots of sympathy? What the hell is wrong with you people? Spam email from Microsoft daring me to take the Bing challenge. As if. Sure, sending mass emails full of remote content is going to make you real popular. I feel kinda dirty for clicking on “show remote content” just so that I could take this screenshot. Anyway: Really, Microsoft? Desperate much?